ordinateur. 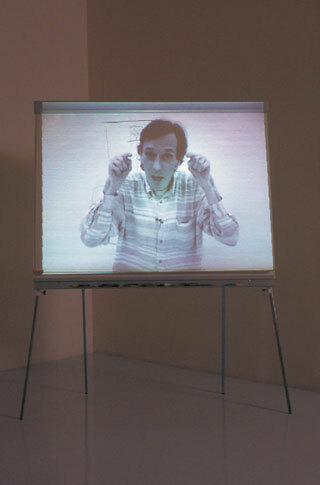 Dans le croquis rapide, le corps doit trouver un moyen de mimer son objet, avec l’ordinateur, en revanche, le corps n’a qu’à faire un mouvement diagonal avec la souris. Un mouvement qui ne mime rien de son objet. Ce mouvement serait le même pour dessiner un rectangle, un rond, une ellipse. Est-ce que la pratique de l’ordinateur pour dessiner des formes comme celles que je viens d’évoquer change quelque-chose dans notre cerveau ? Je n’en sais rien et, d’ailleurs, je m’en fiche. L’important est de rendre l’évidence drôle et problématique à la fois. A mini video-lecture. Great to speak an English which has an accent vaguely identified as hailing from Central Europe or India. 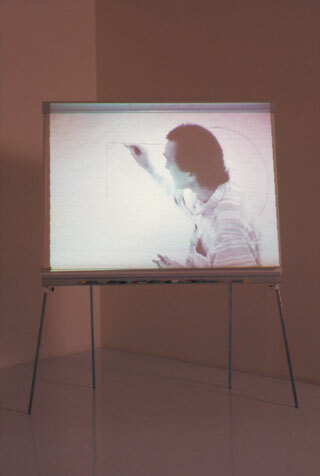 (The piece was designed for an invitation to the Tate Gallery in London). 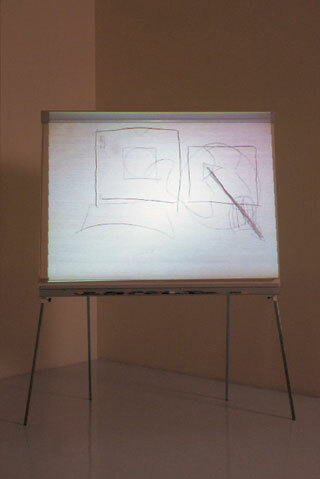 The video is projected on to a large paper-board, and the demonstration is declined on an identical paper-board. 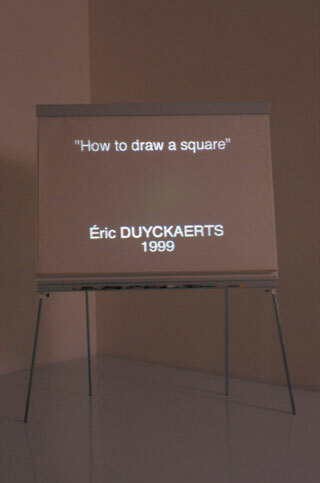 Plenty of ways of drawing a square, doubtless. These ways are so spontaneous for us--here I’m thinking of quick sketches rather than Descartes--that they remain unanalysed. 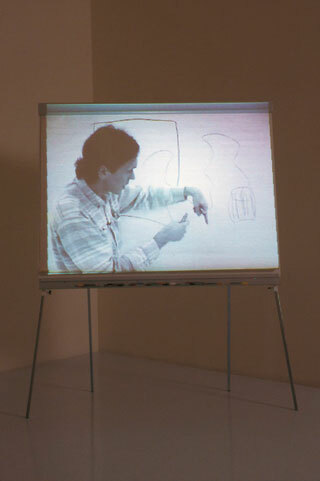 They also remain unanalysed in my video, but are enhanced by an approach to the way of drawing a square by computer. 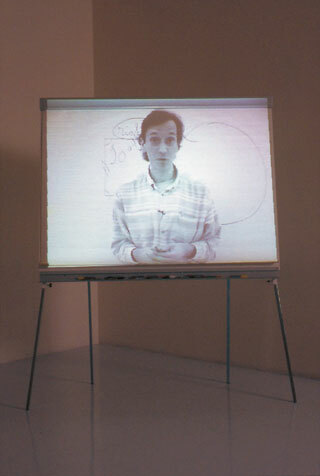 In the quick sketch, the body has to find a way of mimicking its object; with the computer, on the other hand, the body just has to make a diagonal movement with the mouse. A movement that does not mimic anything of its object. This movement is supposedly the same for drawing a rectangle, a circle, an ellipse. Does the practice of the computer for drawing shapes like the ones I’ve just mentioned change something in our brain? I don’t have a clue and, what’s more, I don’t give a damn. The important thing is to make what is obvious at once funny and problematic.